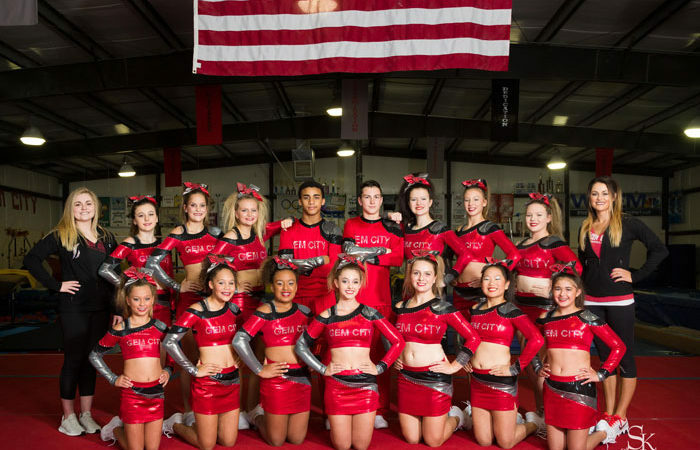 Gem City’s all star cheer squad competes under the rules of the U.S. All Star Federation (USASF). 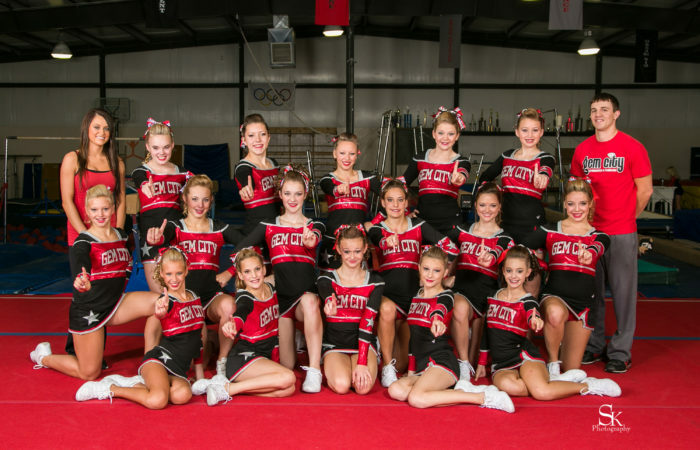 Cheer competitions consist of a 2 minute and 30 second routine in which squad members tumble, stunt, dance, and jump. This complicated by the fact that this is often done in unison. 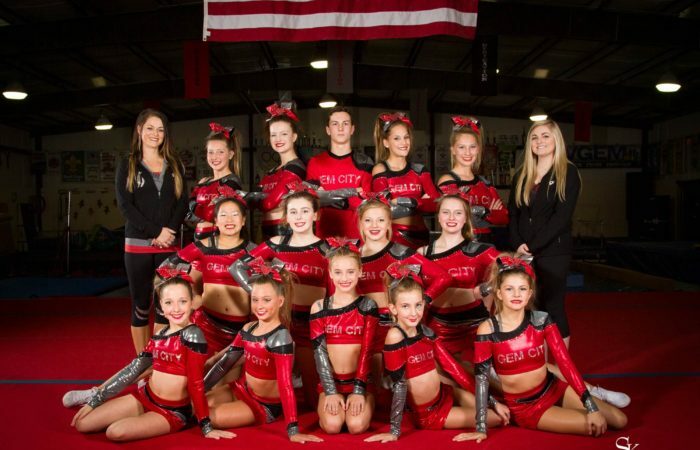 Because of this all of competitions and practices are mandatory for Gem City all star squad members. 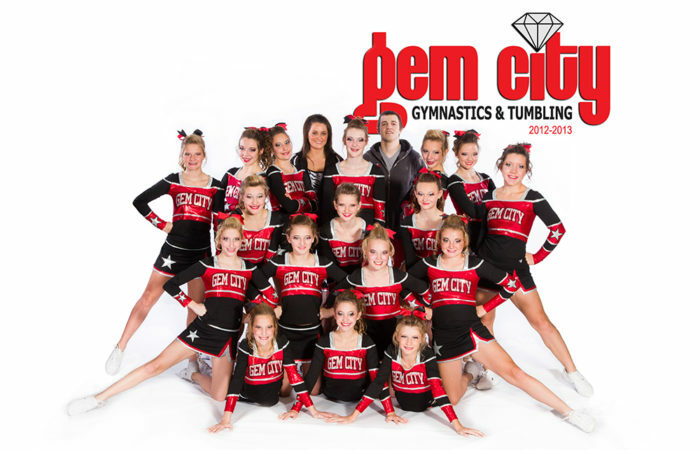 We hold tryouts to form our all-star cheer squad here at Gem City around May. 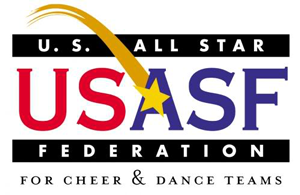 The tryout is judged by at least three people, who score a jump series, two tumbling passes, and a dance. 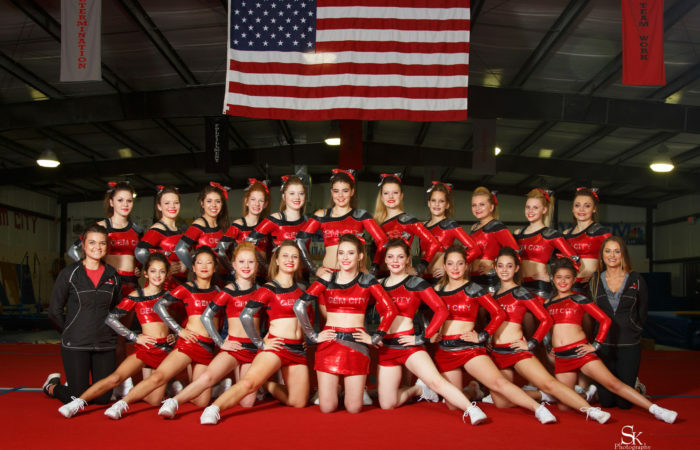 Full information on tryouts is posted on our website and social media months ahead of time, and we offer an information meeting before tryouts each year. We are often asked, “Do you need a back handspring to tryout?” Nope. 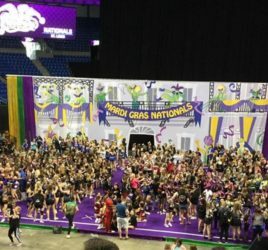 Again, routines are packed with stunts, dances, cheers, chants, and tumbling. 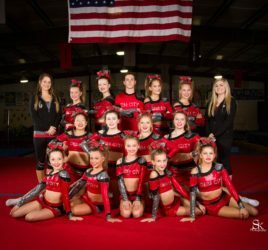 Tumbling is only one element of forming a strong, competitive squad. Every team needs a combination of bases, flyers, tumblers, and dancers. Most of our well rounded athletes are capable of performing all of these skills to some degree, but no one is perfect. Athletes without a back handspring can and should tryout. We look for potential beyond that one skill. Plus, we’re confident in our coaching abilities to get our athletes to the level they need to be! 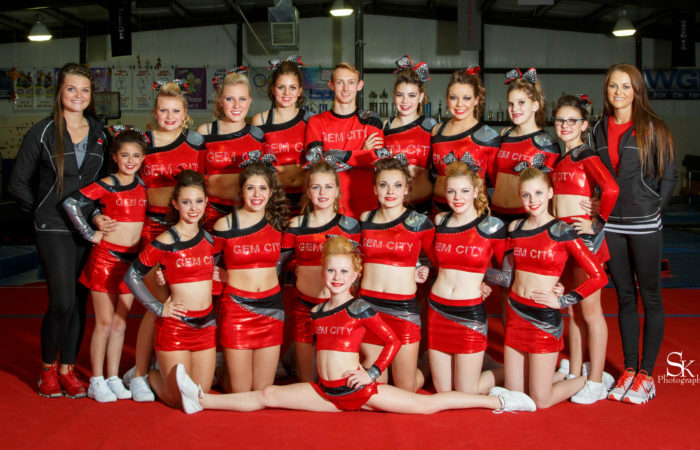 Gem City’s All Star Cheer Squad earned a second place finish at the Mardi Gras Super Nationals competition in St. Louis on April 7 at the Chaifetz Arena. 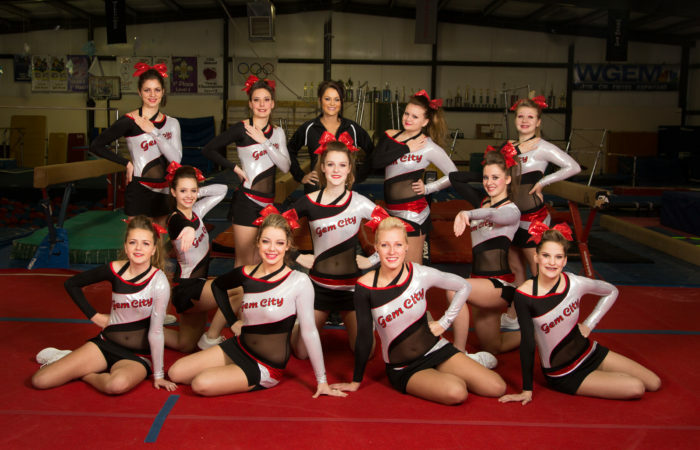 Our All-Star Cheer Squad competed at the two-day CSG Super Nationals in Schaumburg, Illinois.